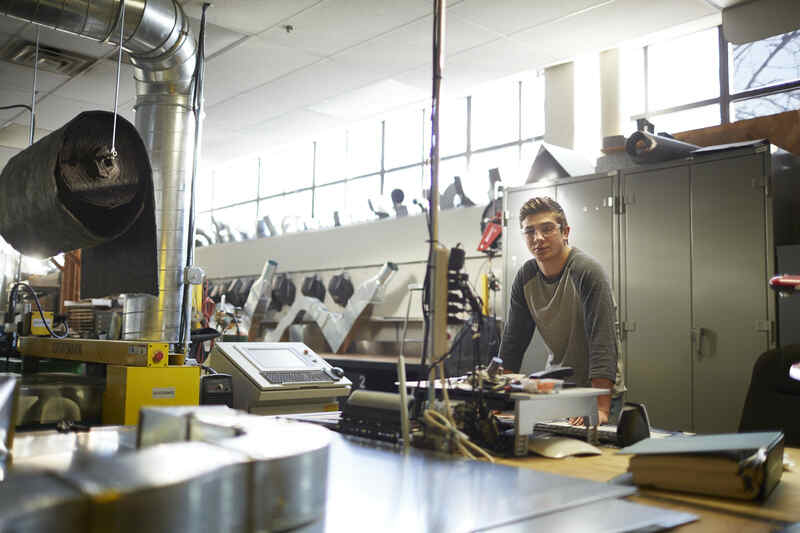 Dunwoody is the college for experimenters, doers, and makers. If you learn with your head and your hands, we’re here to help you make your future. Learn from experts who are passionate about sharing their knowledge of designing, building, engineering, creating, and fixing things–and do it all with state-of-the-moment technologies in our dedicated labs, studios, and shops. Dunwoody offers more than 40 two- and four-year programs, including engineering, robotics, and design. Unleash your creativity and your ability at Dunwoody. We’re sure once you experience Dunwoody firsthand, you’ll feel like you already belong here. Dunwoody offers associate’s and bachelor’s degrees as well as a handful of certificates. Many of our degrees have both day and evening options. And our offerings span many industries and types of careers. But what ties them all together is this: we treat you as a future professional from your first semester. At Dunwoody, you are in your major and with your cohort of fellow students from day one. That’s why we want to know what you’re interested in. You know what you want to do. That’s what we’re here for. Let’s get going! And if you’re not sure? Our admissions counselors and faculty will help you explore the possibilities so you can figure out the best fit. Located in Minneapolis, Dunwoody offers a unique campus experience. Our buildings are filled with shops, labs, and studios--places to experiment, learn, and make.